CENSIS is one of 8 Innovation Centres in Scotland and is a partnership project between 12 of Scotland’s leading academic institutions. The organisation offers industry partners advanced research expertise in the economically important and highly diverse domain of Sensor and Imaging Systems. Sensors play a vital role in the smooth running of technology but the output of sensors is increasingly being captured and utilised to assist in decision making, from system adjustments through to averting disaster. 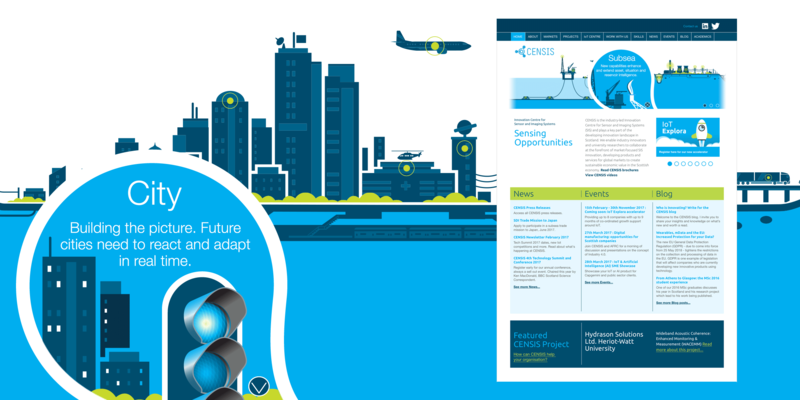 The purpose of the CENSIS website is to explain sensor systems to a wide audience as well as to assist in connecting academic expertise to industry partners of all sizes.